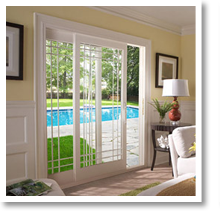 At Window World of Erie, we’re passionate about offering a wide variety of replacement products that give your residence a unique look. Don’t forget to take advantage of our free in-home estimate, where a Window World professional will travel to your Erie home and discuss the best option based on your style preference and budget. 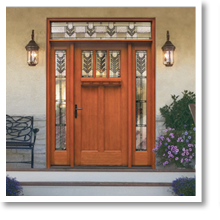 Our entry doors come with a variety of customization options for you to make your entrance truly unique. With so many different color and glass options to choose from, it’s no wonder these doors enhance your home’s curb appeal! A perfect blend of form and function, patio doors by Window World make the transition from your living room to your backyard space as beautiful as possible. The expanded glass area increases the amount of natural light, resulting in a cozy space. An elegant design addition to any home, French rail doors not only offer exquisite beauty in your space, but they can help you save money on your energy bills! Utilizing Low-E glass technology, these doors absorb the sun’s rays in the winter and reflect them in the summer, so your family always stays comfortable. 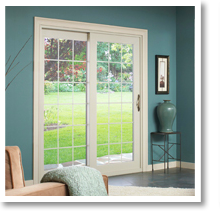 Window World of Erie invites you to explore our replacement doors and find the one that speaks to you. Our personalized service makes us stand apart from the rest, so contact us today and experience the Window World difference. Schedule your free in-home estimate!